(SPOT.ph) The year is almost over but that doesn't mean there aren't any surprises left in the music scene. 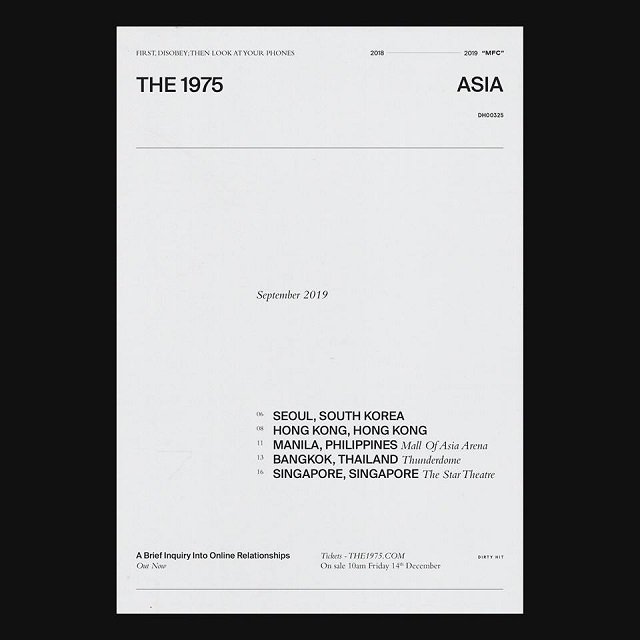 More and more artists have been announcing their tour stops in Manila for 2019, and you've got one more to add to the list: The 1975. 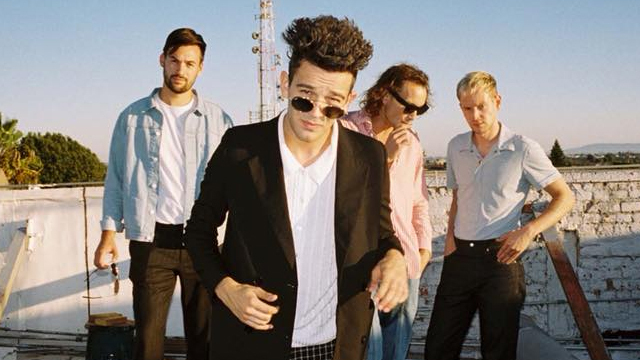 The British pop-rock band will be performing in Manila on September 11, 2019 at the Mall of Asia Arena as part of their tour for their brand-new album, A Brief Inquiry Into Online Relationships. The band is known for their hit songs like "Girls," "Robbers," "Chocolate," "Somebody Else," and more. They've previously performed in Manila in 2015 and 2016. Tickets for the concert, organized by MMI Live and Live Nation Concerts, will be on sale starting December 14 online and at SM Tickets outlets. But just in case they sell out quick, they'll also be stopping by Seoul, Hong Kong, Bangkok, and Singapore, so it's best to keep an eye out for more announcements.